I love feeling like its summer even when outside it's horrid wet and cold. 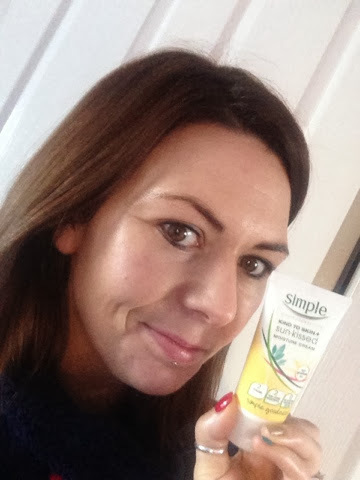 Simple have a facial moisturiser called kind to skin + sun kissed moisture cream. It's £4.99 from super drug and gives you such a great glow with a really nice tan to match. I would buy more of this it's not greasy and sinks into the skin leaving it nourished.